To promote health in Coos County through enhancement of local public health services. 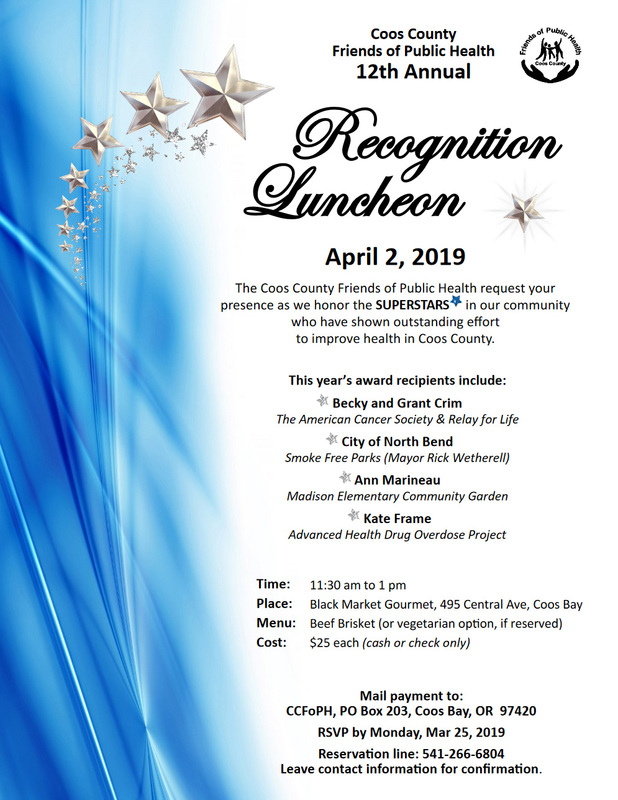 The Coos County Friends of Public Health (CCFoPH) is a non-profit 501c3 organization supporting the Coos County Public Health Department services. These services include the promotion of healthy families through programs such as WIC, CCare/Family Planning clinic services, Healthy Start, and “Parents as Teachers”. To educate about the important relationship between resources and essential public health services; to generate resources in fulfillment of our mission. Be a Friend of Coos County Public Health. board and other important committees that support the work of the CCFoPH. Members receive a quarterly newsletter to keep up to date on all that the Friends are doing. Members receive bulletins about important public health issues and events, through email. As a member, you always know what are current issues and concerns about our public health. Together We Can Create a Healthier Coos County! If you are interested in becoming a board member or helping on committees that support the work of the Coos County Friends of Public Health, please contact us. You can download a CCFoPH membership application here.